Amethyst got up early the next morning and got out of bed, yawning. She decided upon going to test out the volleyball courts instead of going for a run. So, she went and took a shower to wake herself up a bit more. She had been on the volleyball team back at her school in New York, and she had been pretty good. 'Might as well put those 'skills' into practice here.' She thought to herself as she got dressed. Her sports attire for today was a skin tight blue t-shirt, short black lycra shorts with a blue stripe down each thigh and spongy-soled trainers. Sure enough, she took an hour eating whereas it would usually take her five minutes. Now deciding it was a more decent time, she loaded up her sports bag and started towards the courts. When she got there she dumped her bag and made herself do a slow paced warm up, so she wouldn't be stood around looking stupid. She took a nicely pumped up ball from the store cupboard and then bounced it to make sure it was a good one. The alarm clock rang in her ears. No not by here ears, in it. 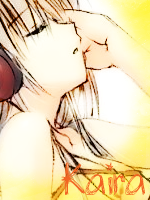 She had been wearing her headphones to sleep again, when her iPod just jammed out of no where. Blame Akirina for setting it up that way. She yanked them out of her ears, and put them on her bedside table. Getting up, she headed to the showers, taking a change of clothes with her. After a shower, she needed to do things for today's activities. She had been to the forest, the beach, now where? She decided to go to the Volleyball court. Dressed in a white Lacoste collard shirt, a pink skirt, a pair of light pink tennis shoes, knee high white socks, and her favorite visor, she headed over to the volley-ball court. She wasn't sure she was really dressed for the occasion. She looked more like a tennis player. The only thing that gave her away was the white ball in her hands. As she was in there, she saw that it was all ready occupied. Exas walked along the beach. It was about 12:00 o'clock usually he wouldn't wake up as early as he did, 9:00 o'clock, though he enjoyed the ocean, and everything about it, which was the true reason he stayed there for 2 and a half hours, though now when he was heading home, past the volleball court, he recognized a girl he knew by Amethyst, his brothers Aphrodite girlfriend, and technically his cousin on his mother Athena's side. So he walked over to her and noticed she was testing out a ball on the court, his ancient looking sandals were on his feet and fit perfectly, compacting the sand as he walked, his dark blue swim shorts, with a light blue trident logo on one side of the leg, and his symbol of power, the sextant, on the shorts on the other leg, swung as he walked. He also wore a tight waterproof t shirt with his symbol of power in necklace form on his neck, which moved side to side as he walked as well. He waved to Amethyst as he walked towards her, and than noticed another girl had joined her, she immediatly caught his eye as well, though he tried to cut his feelings off from this mortal girl, though they came back little by little. Amethyst looked up when she heard someone talk to her, and she smiled warmly at the girl who had joined her. "Yeah, sure! That's no problem. Besides, it's pretty hard to play volleyball with just one person." She then grinned and held out a hand after catching the ball she had been testing under her other arm. "The name's Amethyst, what's yours?" Then, her attention was partially drawn to Exas strolling along the beach. She waved with her free hand and made sure she didn't drop the volleyball from her grasp. "Hey, Exas!" She called and then turned back to the girl in front of her. Akirina gave the girl a warm smile. "I'm Akirina. " She said, taking the hand, and shook it. She noticed that there was another person. Someone who somehow didn't feel like the rest of them, Demi-gods. He felt like someone with more power. 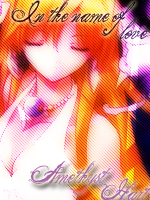 She turned her head slightly, to look at the guy Amethyst called Exas. They seamed to know each other, and she didn't like feeling the odd one out. Was she the only one here who didn't know everyone? "Hello Amethyst, how are you?" He said to amy and than turned his head towards the girl. "Hello I am Exas, son of Poseidon, it is..." Than a lightning bolt struck the ground next to Exas, scaring him half to death. He forgot his other parent and his grandfather/uncle was now trying to remind him or he will be a fried god kabob. "Also son of Athena." Missing her name when she told Amyethyst, "And how about you? Does this beautiful girl have a name?" he said to Kaira. Amethyst smiled back at Akirina and let her hand go back to her side. She then jumped from the sudden bolt of lightning but laughed at Exas's flirting, but decided to say nothing of it. "Way to make me have a heart-attack, Exas." She joked and then bounced her volleyball again. "But what brings you both here this, um, afternoon, now, right?" She had to think whether it was afternoon or morning for a minute there. "I came because I thought volleyball was way better than running like I usually do." She grinned instead of smiled now, feeling confident as per usual. Akirina was shocked to see the lighting bolts strike down. So the guy was a pure god. Not a demi-god like Amethyst and herself. She smiled then nodded, still a bit shocked by the static. "I'm Akirina. Nice to meet you, Exas. But just call me Rina, please." She said, wastfuh the both of them. She always though her full name was a mouthfull. "Honestly, I just wanted to go somewhere new" Akirina said, with a small smile. Ooc: Aww you should of been like this. "You think im beutiful? Oh well than; you, me, bed, now! "Sorry grandpa, and uncle, zeus got a bit angry i guess." He than replied to Rina. "It is a pleasure to meet you Rina." After rina replied to amy, Exas did aswell. "I was in the water for an hour than for the rest of the time I did my job as a god which is sort of complex and I don't want to explain it. Sorry. Though I was walking home and notice you here so I came over to say hello. Though what is volleyball I may ask?" Amethyst smiled and took the ball in both hands, one bandaged and one not. "Volleyball is where you take the ball and hit it upwards from your knuckles." She curled her right fist into her left hand, and held them up so Exas could see. "You don't get hurt if you hit the ball in the right place, which is right behind your thumbs." She threw the ball up in the air and stood with her feet square as she watched the ball come back down again, before she pushed up with her hands at the ball, watching it go flying over to the other side of the court and into the back corner. "You'll get used to it, pretty easy to play, to be honest. I used to be on my school team back in New York." She continued to smile as she dashed over and retrieved the ball. "You used to be in a team? That's cool. I just played with my cousins and friends." Akirina said, laughing. She hugged the volleyball in her arms and smiled. "We just need one more player to make it fair." She said, smiling. She wondered how the game will end up. Would it be good? Or would it end up with someone crying out of loss? She has seen games end like that before. 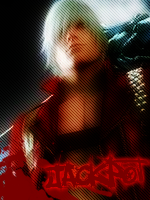 As bored as ever, Dante took a walk around the camping grounds when he saw a group of camper's talking to eachother. I guess they are just as bored as i am, so i might have fun withthese people. "Hey there, wanna play a game" Dante yelled excited. Picking out some candy from his pocket's, he quickly ate some sour candy and made a fitting, sour face. "Oogh, those things are a real wake up call". Making a normal face again, he walked up to the only male in the vacinity. he extended his hand and said "The name's Dante, what's your's ?". Exas clueless of what to do with the hand, but he finally realized it was meant to shake, she he shook the mans hand. "Hello my name is Exas it is nice to meet you dante." He than gazed at this odd kind of kid and soon understood his point of u after some thoughts and now knew that he wasnt as weird as he acted with the sour candy, and quick tempo of talking. Amethyst waved a hand over at Dante. "Hey, Dante! Course you can join in." She then ran back over with her ball under her left arm. "How about we make this interesting?" She then grinned. "Let's have girls vs boys, and see who wins." She then said confidently, raising an eyebrow at the two boys. "Unless of course, you're too scared to do that challenge, in which case, we've already won." Akirina grinned. The battled of the sexes was a classic game. In this case, the round would be in volleyball. She hoped that her team would be victorious, plus both her and Amethyst had experience. Her eyes fluttered around the room, scanning the net and everything else. The equipment was in place and looked like everything was where it should be. She tossed the ball up in the air, watching it go up, then caught it with her right hand, grinning.